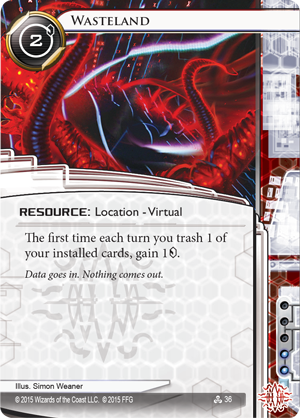 The Data Packs from the Flashpoint Cycle for Android: Netrunner have carried us deep into a version of New Angeles marred by financial instability and openly hostile megacorps. 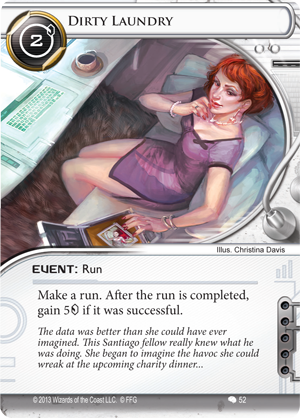 And even as they have thrown the city into utter chaos, they have cast a spotlight onto some of those characters who have hitherto remained at the game’s fringes. 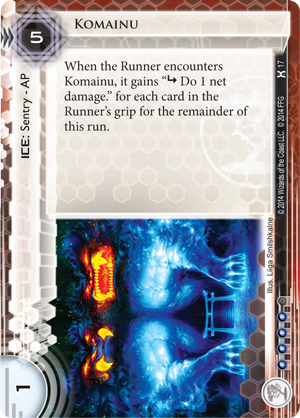 These include two of the runners who first appeared in the Data and Destiny deluxe expansion— Sunny (Data and Destiny, 45) and Adam (Data and Destiny, 37)—both of whom have received rare new cards. 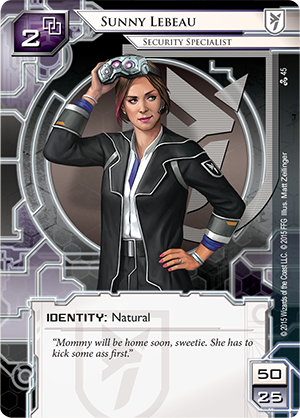 Soon, the upcoming release of Martial Law will complete the trifecta by offering a new card to the enigmatic runner, Apex (Data and Destiny, 29). 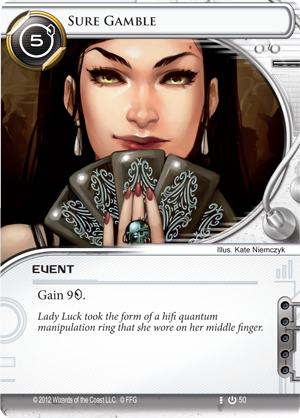 Apex appears as more of a phenomenon than a personality. 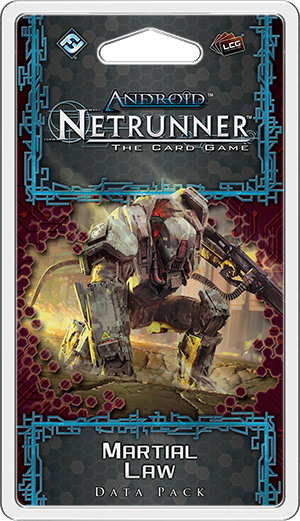 Little is known about the runner other than wherever he / she / it exerts its influence, it consumes hardware and processing power, presumably using these to gain strength or “grow.” Apex’s behavior is predatory, but where other predators take advantage of their unique environments to stalk, trap, or strike their prey, Apex simply seems to want to reduce everything to a Wasteland (Data and Destiny, 36). 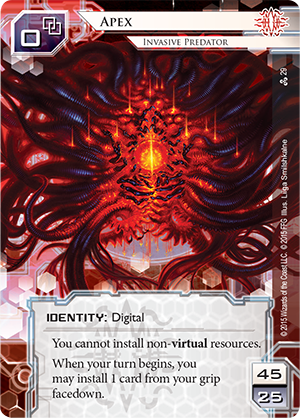 And Reaver (Martial Law, 86), a new card from Martial Law, the fifth Data Pack in the Flashpoint Cycle, may just help it devour systems faster than any sysop in the Big Four could possibly imagine! 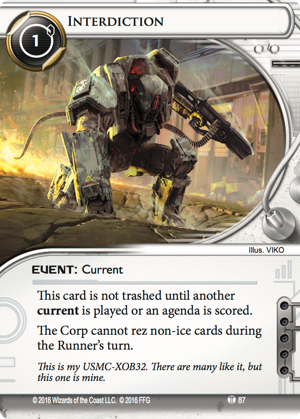 Since its release in Data and Destiny, Apex has offered players an impressive set of tools for tearing through the Corps’ defenses. 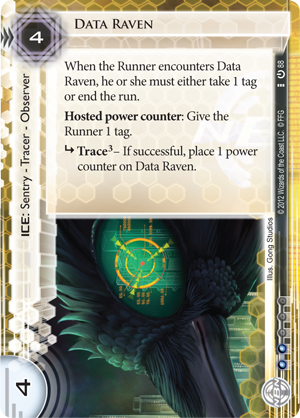 Hunting Grounds (Data and Destiny, 35) protects Runners from popular ice like Data Raven (Core Set, 88) and Komainu (Honor and Profit, 17), ensuring that Apex can hunt with impunity. 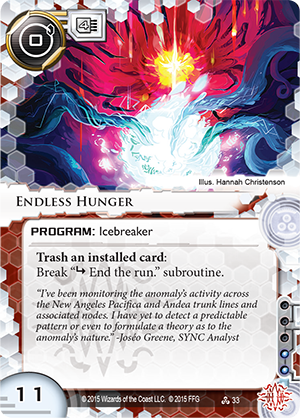 Endless Hunger (Data and Destiny, 33) can prevent any ice from simply ending a run, meaning that Apex can always reach its prey. 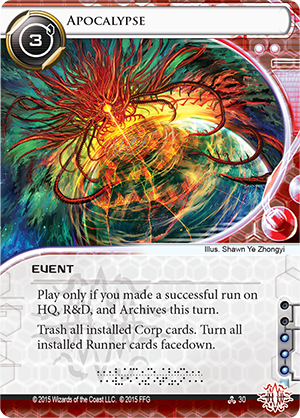 And Apocalypse (Data and Destiny, 30) enables Runners to tear down everything the Corp has built all at once, allowing Apex to gorge itself on data amidst the ruins of assets and upgrades. Yet, to date, these potent tools and Apex’s intimidating threat have been counterbalanced by the identity’s restrictions. 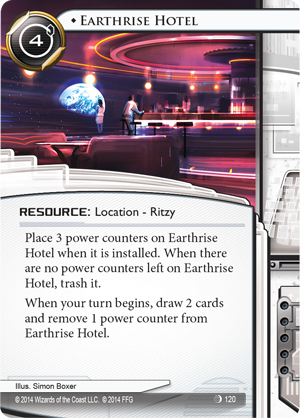 The small number of in-faction cards and the inability to play card-drawing resources like Earthrise Hotel (The Source, 120) and Professional Contacts (Creation and Control, 49) can leave Apex decks with inconsistent openings while slowing their attempts to draw the cards they need. Enter Reaver (Martial Law, 86). 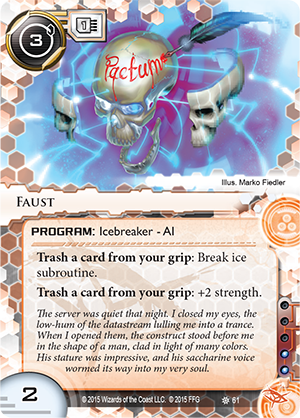 The first card released for the Apex mini-faction since Data and Destiny allows players to draw a card the first time each turn that they trash one of their installed cards. 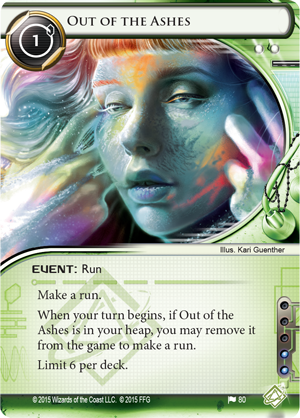 This means that the first time each turn that you break an “End the Run” subroutine with Endless Hunger, you also draw a card. 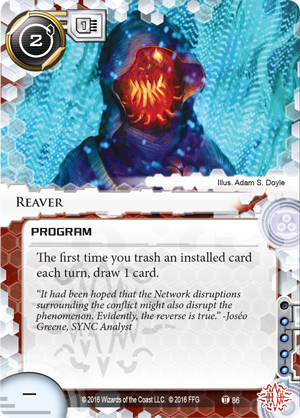 Since Reaver is non-unique, this benefit will grow with each additional copy that’s installed, netting you as many as three cards for each card you trash. 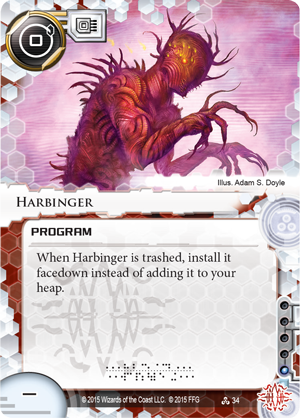 And of course, Apex players don’t have to rely on breaking subroutines with Endless Hunger to take advantage of this ability. 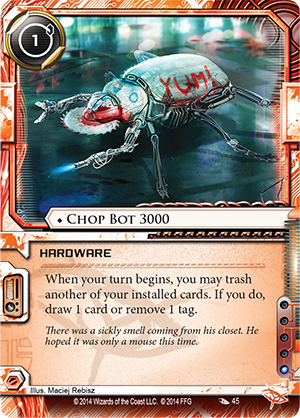 By splashing a couple copies of Chop Bot 3000 (Order and Chaos, 45) into their decks, they can create a powerful combo and potentially draw four cards at the beginning of each turn without spending a single click. 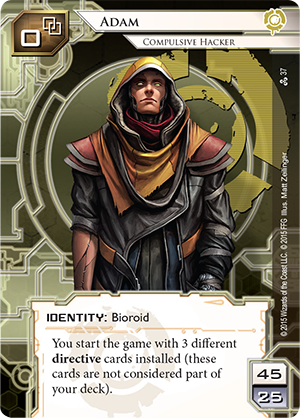 With a couple of Wastelands in play, this becomes four cards and two credits, click-free. 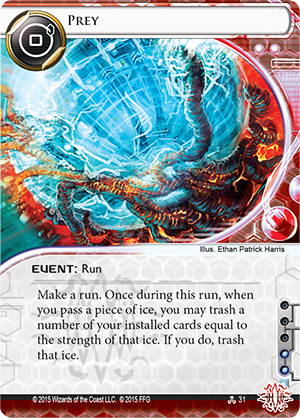 The most apparent drawback of this combination is, of course, that you have to trash one of your cards each turn. 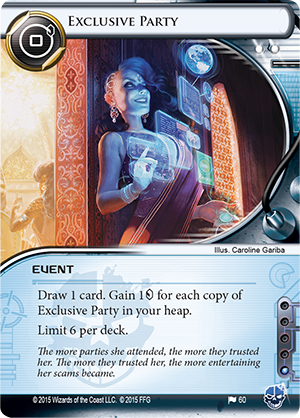 Yet, cards like Exclusive Party (Salsette Island, 60) and Out of the Ashes (The Liberated Mind, 80) help players take advantage of this drawback by letting them trash cards that are even more useful to them in the heap than on the board. 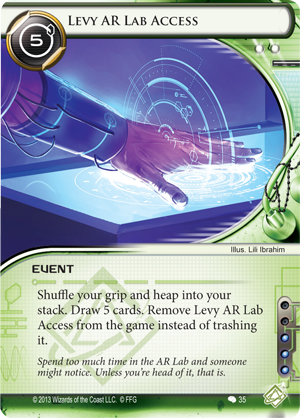 If you’re drawing four cards a turn, you also risk running through your deck too quickly, but you can mitigate the downsides there by sleeving up a couple copies of Levy AR Lab Access (Creation and Control, 35). 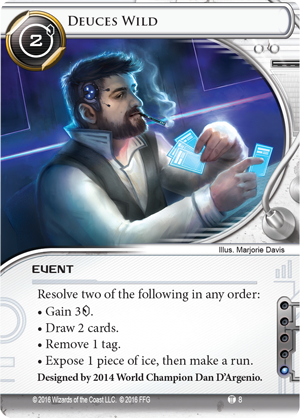 This deck emphasizes speed with low-cost cards and burst economy from events like Deuces Wild (23 Seconds, 8) and Dirty Laundry (Creation and Control, 52) that will let you keep pressure on the Corp as you build toward your steadier trickle of cards and credits from Reaver and Wasteland. 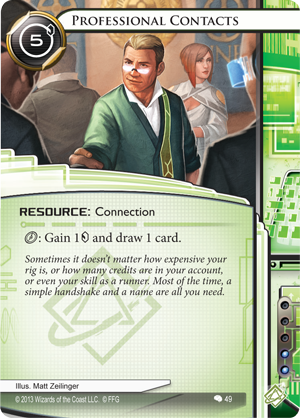 The low cost of your cards also means that you won’t set back your board state when you use Apocalypse to wreak havoc on the Corp. 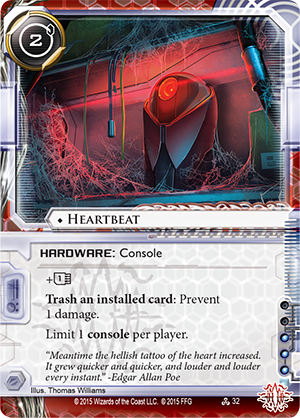 Finally, the large amount of redundancy among your installable cards means that you don’t have to worry about losing some critical piece of your rig at an inopportune moment. 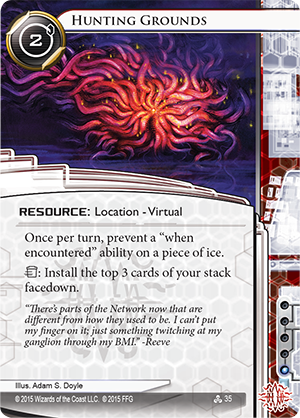 No one knows exactly what Apex is, where it came from, or what it wants, but it’s left a trail of bodies in its wake—and even more devastated systems. The Twenty-Three Seconds Incident gave it unprecedented access to the data that feeds its growth, and now it may be too much for even the strongest defenses on the Net to handle. After Martial Law allows it to absorb yet another new trick and countless more servers, you might still be able to survive its attacks—but what kind of nightmare could you find yourself living in? 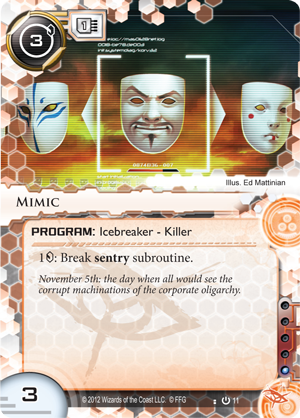 Look for Reaver and the other cards from Martial Law to arrive at retailers later next week!